Sue is kind, positive and a friend to all. She has helped with countless projects over the years. The list is long but to offer a glimpse of her dedication to helping others, her BH work includes Beach Cleanups, Coat Drives, Bicycle Helmet Giveaway, Starfish Squad, Soup Kitchen, Hurricane Relief and Zumba events. Sue is a both a leader and a supportive team player – showing by example, inspiring others to get involved and doing whatever is needed to help in ways that make others smile and feel cared for. I enjoy doing Zumba, hanging out with friends, watching movies or best of all playing with my nephew Dante. It was 2012 when I really became involved after doing the Timothy Coppola Helmet Drive (this was not my first BH project). The first project was Oct 2012 helping Michele Ayoub with the event for Al's Angels. Also after that I started doing Michele's Zumba class. They have all been memorable moments, but if I had to choose one it was Valentine’s Day at the soup kitchen. We gave a little boy a Yankee Pillow that I had gotten from my grandparents house after they had passed away and to just watch this young boy (probably about 9) and how he cherished it. It is an honor to be a part of this team. Not only have I made new and amazing friends. I have re-connected with old friends. Also to know Ang and be by her side is truly a blessing. Her compassion and love are truly extraordinary. 5. 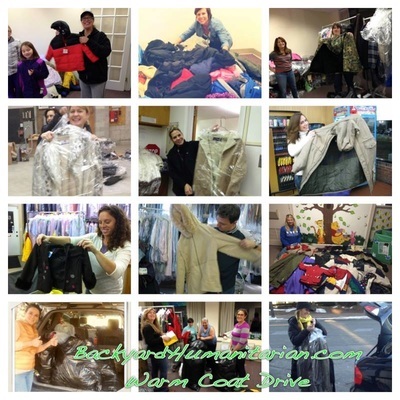 IN A WORD (OR FEW) WHAT DOES BACKYARD HUMANITARIAN MEAN TO YOU? ​Meet Backyard Humanitarian, Rosie Burgos. Rosie has volunteered for many BH projects that include; Soup Kitchen, Flag Planting, Collection Drives & more. We are grateful to have her on our team. Rosie brings smiles to people's faces and to their hearts when she sings at our BH Meals & Music lunch services at the Soup Kitchen. Watch a video clip here and read more about Rosie below. 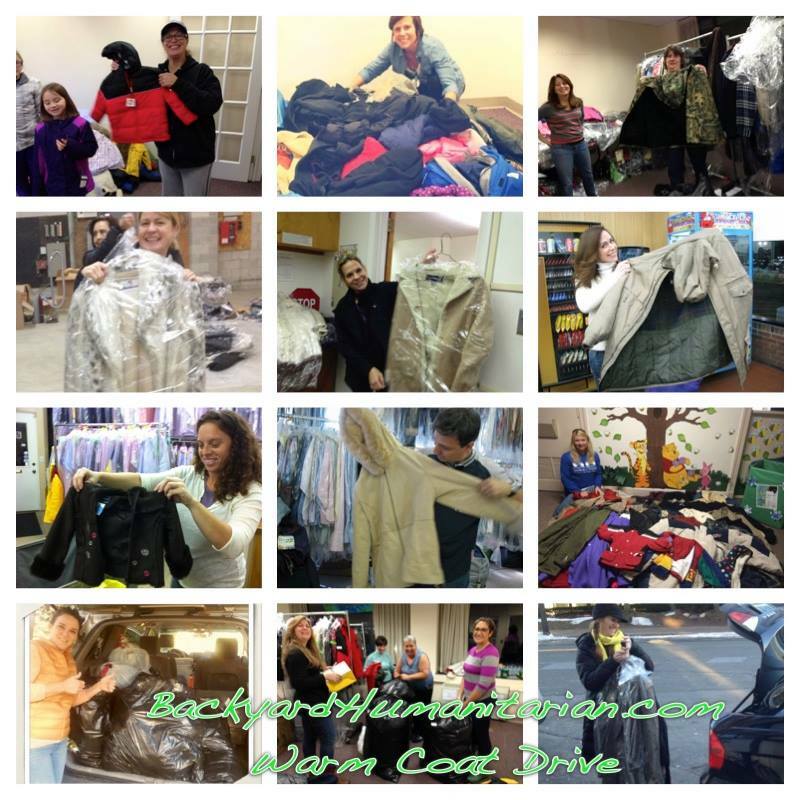 2011-2012 Coat Drive – I was going through a stressful time in my life & wanted to “do something”. I got involved w/BH through a friend. 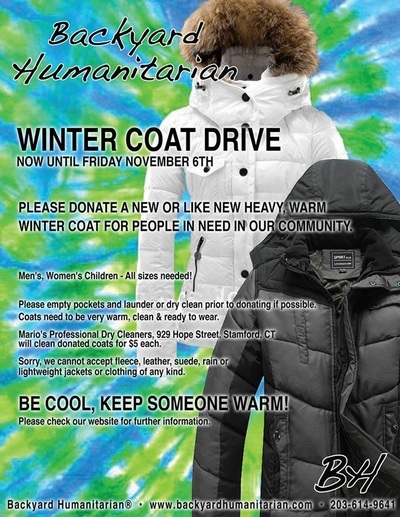 I didn’t have time to collect coats, but I was able to sign up at the time to hand them out at St. Luke’s. It was an uplifting experience to see what this organization was doing, and I wanted to be a part of it. 2. WHAT IS A FAVORITE OR MEANINGFUL BH MOMENT? Singing at the Soup Kitchen w/my friends Tor Newcomer & Bill Nollman. They liked it too. 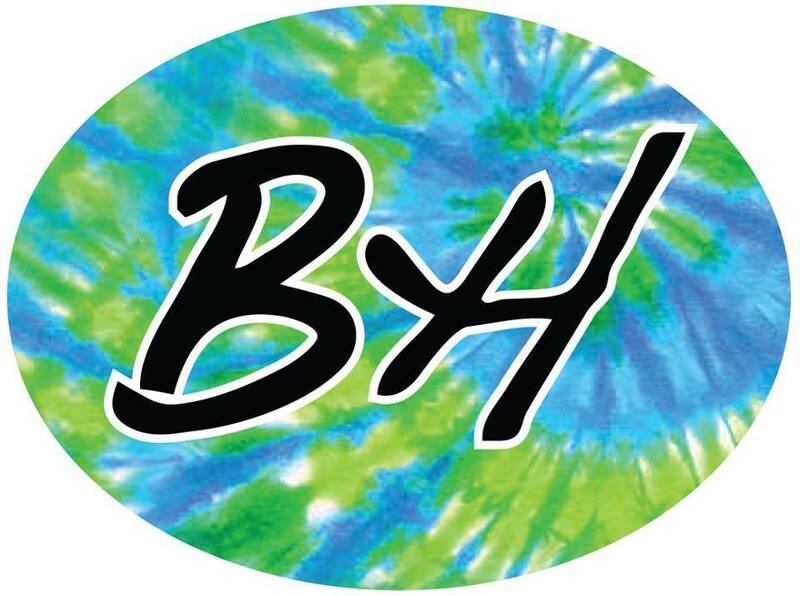 What I like about being a BYH is being part of community that cares & doesn’t just say it, but means it. They say “actions speak louder than words”. This should be our mantra! Lol. 4. 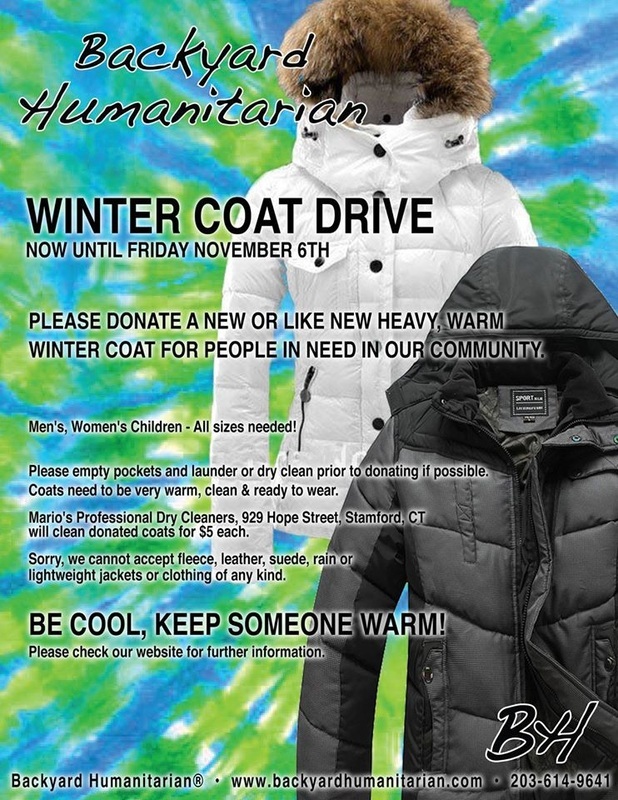 CAN YOU SHARE A SPECIAL BACKYARD HUMANITARIAN MOMENT OR EXPERIENCE? Planting the American flag w/the VFW Post 9617 is very special to me. 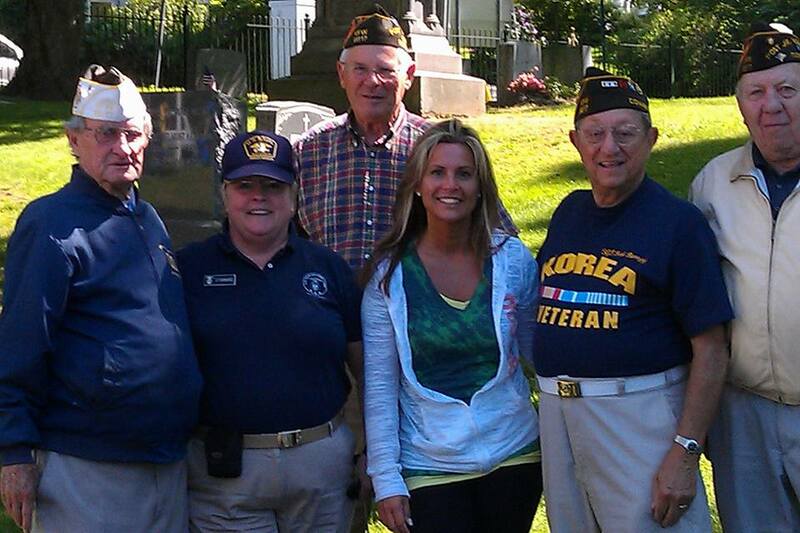 I have had family members, friends & have met some new friends that served in the military. I think it’s very important to honor them in life & in death. They are my Heroes. I love spending time w/my friends & family & singing. I am born & raised in Stamford. This is my home. I have visited a few places, but this is where I want to be. Even though it’s a big city now, it still has a “small town” charm about it.